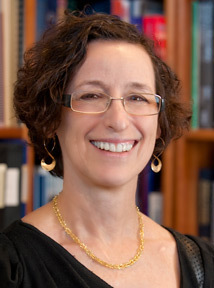 Dr. Jacqueline Wolf is Associate Professor of Medicine at Harvard Medical School and in the division of gastroenterology at Beth Israel Deaconess Medical Center and Harvard Medical School. Dr. Wolf received her medical degree from Tufts University School of Medicine, completed an internship and residency in Internal Medicine at the University of Chicago Hospitals and Clinics and completed a fellowship in gastroenterology at the Peter Bent Brigham Hospital. After spending her first 10 years post training in academic medicine doing research on how viruses cross the gastrointestinal tract and interact with the mucosal immune system, she has been engaged in a clinical academic practice with a specialty in inflammatory bowel disease and women’s gastrointestinal health. She has participated in 9 multicenter therapy trials for inflammatory bowel disease; proposed, helped design and fund a study of compliance with recommended colorectal cancer screening in women undergoing mammography; participated in a trial assessing the efficacy of acupuncture in irritable bowel syndrome; participated in a national trial comparing colonoscopy with CT colonography in the detection of polyps and cancer in asymptomatic people screening for colorectal cancer; and currently is analyzing data from a national survey on gastrointestinal symptoms in patients with Marfans and Ehlers-Danlos syndrome. She writes on issues of pregnancy and gastrointestinal health and disease, diseases that impact women more frequently than men or manifest differently in women. Dr. Wolf has received numerous awards and honors. She is the author of over 60 articles, chapters, reviews and editorials. She recently published a book for the lay public entitled, “A Woman’s Guide to a Healthy Stomach: Taking Control of Your Digestive Health”. She’s a contributor to the Discovery Channel program “Mystery Diagnosis.” She has appeared on 5 ABC News On-line videos on Diet and cooking, 4 television programs and participated in over 25 radio programs with live and taped interviews and call-in questions from listeners. She is a regular contributor to lay-press articles on women’s digestive health and is a member of the editorial board of the Harvard Health Publications.